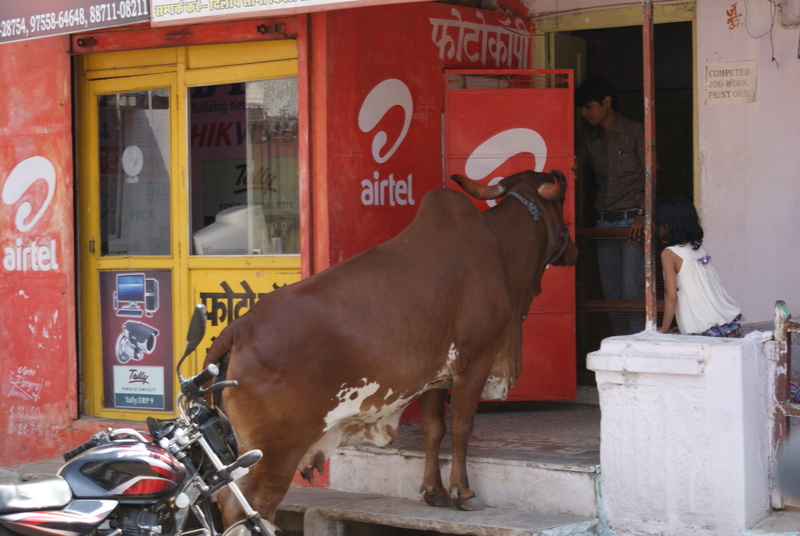 Day 2 in Maheshwar was, for India, amazingly relaxing. We explored the town in the morning. Maheshwar, as opposed to most towns in India, is really clean, and foreigners are not mobbed by people trying to sell you something. In fact, we had to insist on being served in some of the little shops. I was looking for some Indian style clothes, but I quickly learned that men in Maheshwar only want to dress like Westerners. The boys were in their element – we quickly found a cricket set (bat and ball) for sale at a ridiculously low price, and they were all set to start playing. We wandered into a gold store, and were welcomed with open arms. We sat bare footed next to about ten local ladies all choosing some jewelry, but gold costs the exact same in India as elsewhere in the world – and it wasn’t cheap. We returned to the hotel for lunch, and in the afternoon we relaxed by the incredible pool at the hotel. That evening, we wandered down to the Ghats, where the locals come to swim, relax, pray and enjoy the cooler weather next to the weather. 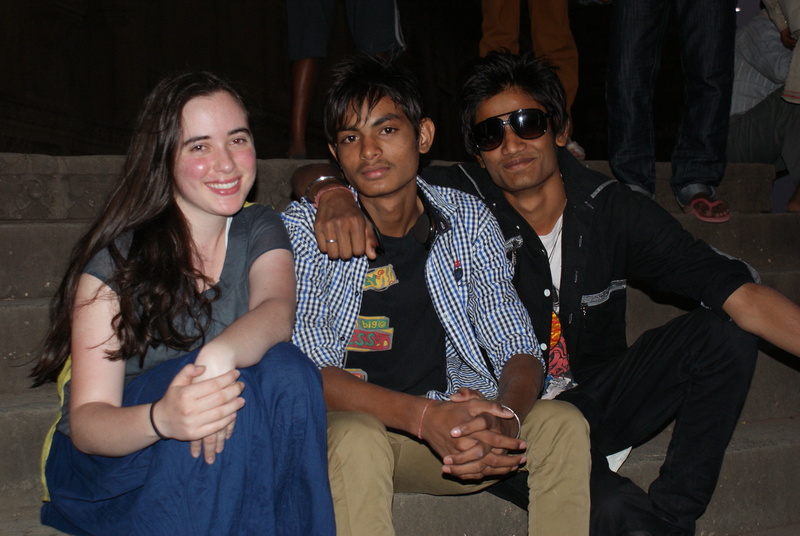 The locals insisted that Gal pose with them, and she must now appear in photo’s in hundreds of homes across India. Daniel was asked to pose with a baby – he was at a total loss for words! 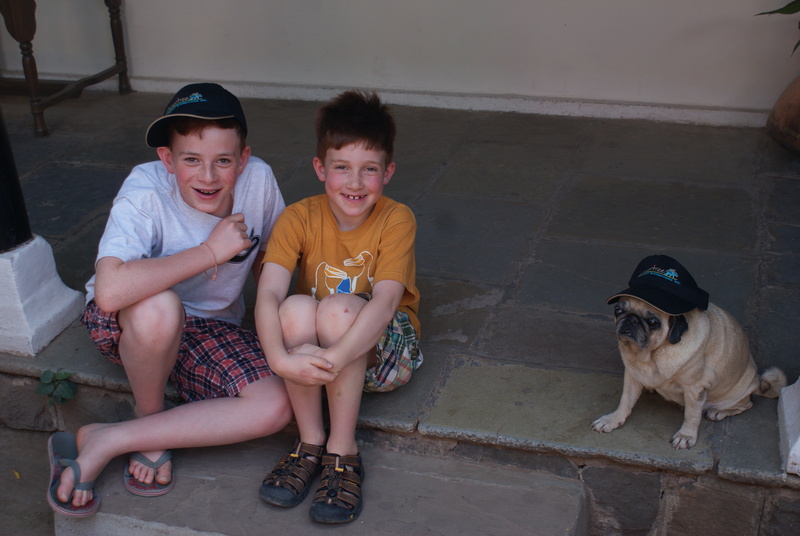 The prince’s dog – wearing his Quivertree cap! 16 year old Canadian girls are very popular in India! What does a kid do when he’s asked to hold a baby? Hanging out at the pool . 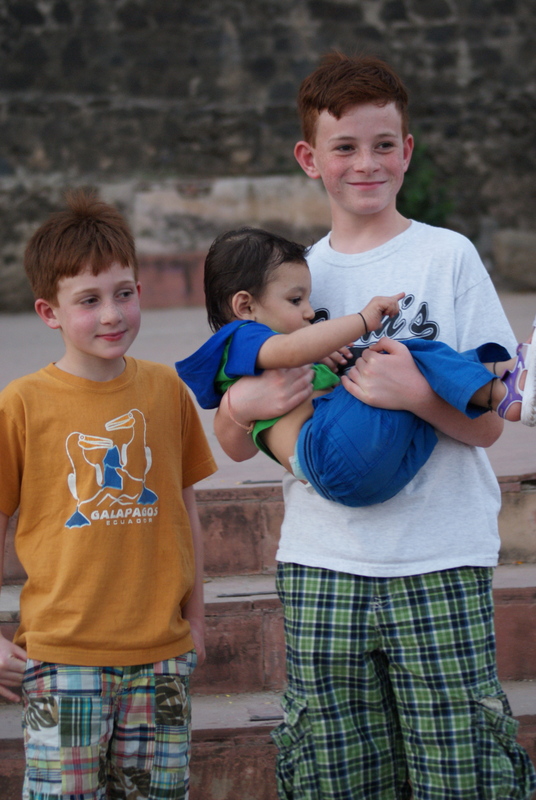 « India with Kids 2013: Delhi to Maheshwar, and arriving at the incredible Ahilya Fort. Wow I love reading your blogs! So informative! 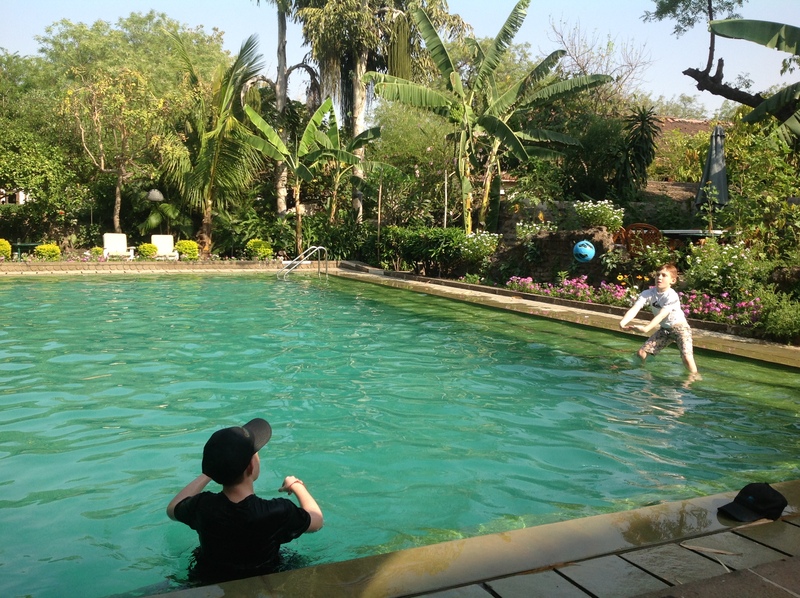 We just spent the month of Jan with our three kids (5,7,9) in northern Thailand and Cambodia and had a ball! I have been reading as many of your blogs as possible trying to get ideas for a 2-3week trip next April. Will be in Singapore for 5days then…?? So may possibilities out of Singapore. India is not easy by bike or foot – the roads are just too busy usually. Myanmar would be great, Koh Samui too.